Depending on how you look at it, the “Souls” series of can be either famous or notorious. Most of us will know these games for their unforgiving difficulty, and the series has been tormenting players since the time of the Playstation 3. PS4 players got to partake in the suffering through other games like Bloodborne and Nioh but as they say, you cannot forget your first love and apparently, there’s a lot of love left for one of the games that started it all. Dark Souls is back and ready to make the noobs cry in agony as we take a look at our review for Dark Souls Remastered! Dark Souls is a third person action RPG where you explore unknown terrifying lands and battle hordes of nightmarish creatures, ranging from terrifying to even more terrifying and to OMG WHAT THE HELL IS THAT. 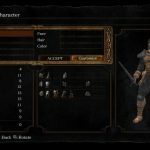 You start with a rather simple character creation screen where you customize your avatar’s gender, appearance, and character class which will affect your starting stats. Character customization here isn’t as detailed as we’d want it to be so be prepared to breeze your way through a few preset faces. There are a few classesto choose from and it’s the standard RPG fare where you can be a close combat specializing Warrior, fast and nimble Thief, or a magic wielding Sorcerer. Whatever your playstyle may be, there’s definitely one for you. 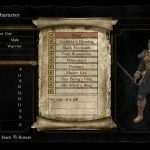 No matter which class you start with though, you’d better be prepared because Dark Souls’ reputation isn’t for show. That said, this game is unforgiving and you can actually die even from the first monster! Every single enemy in this game, yes even those so-called grunts or cannon fodder, can kill you if you’re careless or in a hurry. No enemy in the game can be underestimated and when you’re not worrying about the enemy soldiers scattered around, it’s the environment that may try to kill you. I can’t remember the number of times I fell down a ledge or accidentally rolled to my death into a pit! Dark Souls Remastered has a crummy script at best with its tale of an Undead (that’s you) being freed from a prison and tasked to save the world. This ain’t Detroit, so don’t expect fantastic writing and script. Nonetheless, even if you don’t fully understand the story or even have no intention of doing so, it won’t hinder your enjoyment (or frustration) from going through the game and everything that’s trying to kill you. The odds are STACKED against you but the game does offer you ways for you to prepare for the difficult fights ahead. 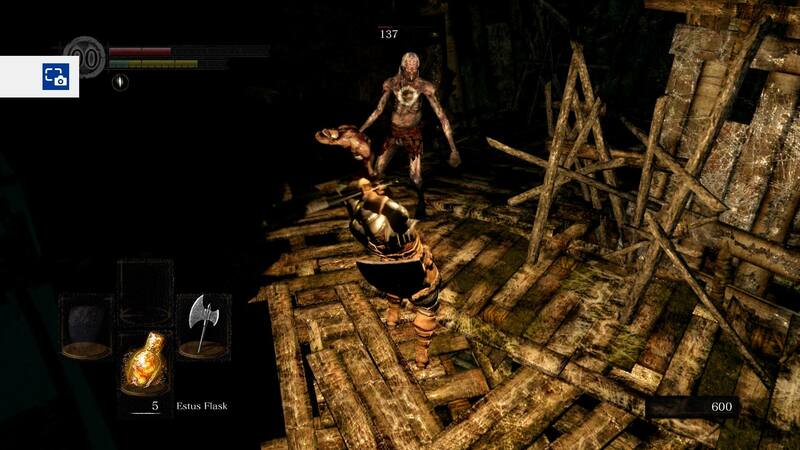 Enemies drop souls, your currency in the game, which you use to buy armor, items, and weapons, as well as leveling up. And if spending souls isn’t your thing, enemies will also sometimes drop weapons, armor, and items you can salvage. When you die, your “souls” get left behind in the place you last died in, and getting killed before you retrieve will make them disappear forever. You will be dying a lot in this game so choosing your battles will be a skill you will learn to develop. While everything is trying to kill you, you don’t have to kill everything. 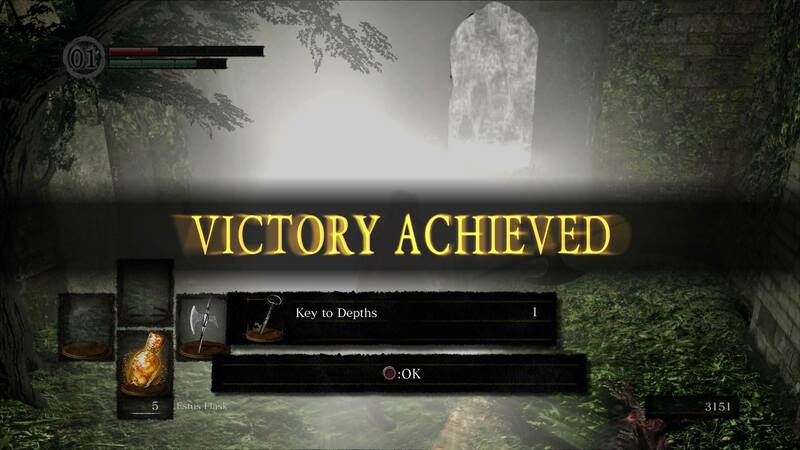 Now it’s not all doom and gloom in Dark Souls because for one thing, there is just such a sense of relief when you reach your hard earned souls after dying once. This will make you learn from your mistakes, which is actually how you get better in Dark Souls. Dying a lot while you play means you will be encouraged to rethink your actions and simply git gud, and it is especially true when facing off against the game’s various bosses. Studying patterns, knowing when to attack and when to dodge, and learning to hold back after getting in 1 measly attack is how you will succeed at the game and after hours of this cycle of fighting and dying, there’s no greater feeling of accomplishment than finally beating that boss that you spent so many hours on. It is in this sense of accomplishment that makes players go back to the Souls games despite their difficulty because it is the good kind of difficulty, the kind that will encourage you to get better at playing. 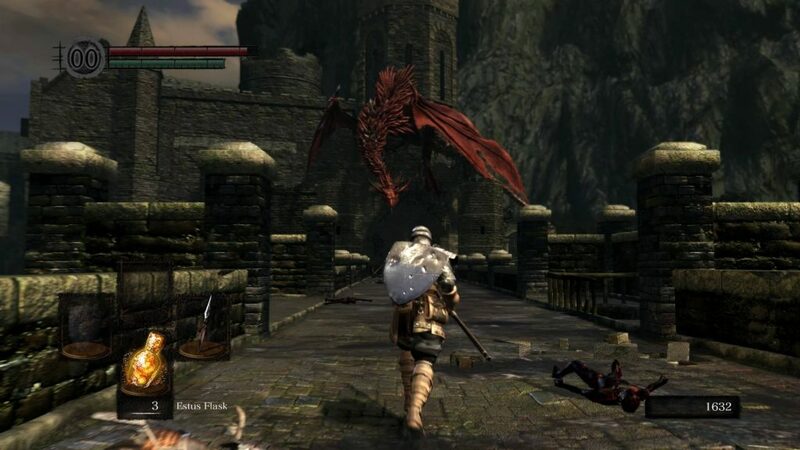 No game does this better than Dark Souls, where dying actually means getting good! And if you get tired of the single player mode, Dark Souls also has multiplayer incorporated in the campaign. When connected online, you will tend to see ghostly images of other players moments before they die, which sometimes serves as hints to you on how to go about certain areas. If you’re lucky some players might even leave messages that give hints for warnings for other players. Expect also a player vs player experience where other undead avatars may “invade” your game and try to take you out! The graphics in Dark Souls Remastered may not look as polished and detailed compared to most next generation titles, but it doesn’t mean they’re bad. The world of Dark Souls is just desolate, with its ruined castles and dark fortresses. The PS3 was able to present them well and it’s the same (or even better) here in the Remastered version. 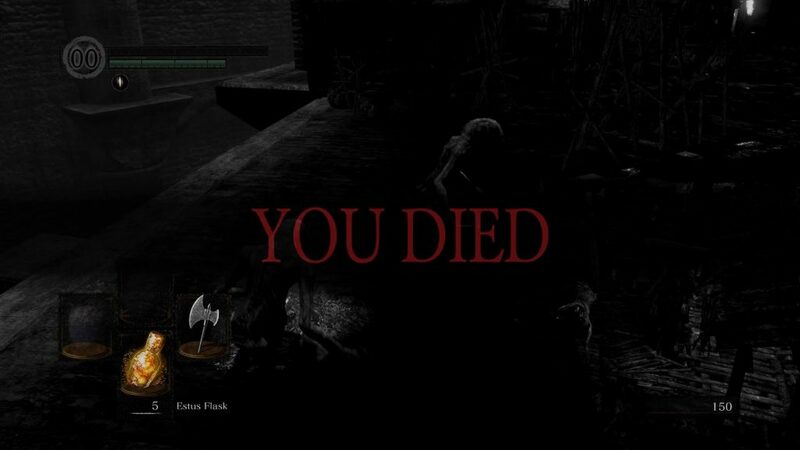 Places like the appropriately named Blighttown and Undead Burg are just scary and depressing, which is fitting in a game all about dying over and over again. The various creatures you also face really put the Dark in Dark Souls because they are just flat out scary to look at, special mention to those giant rats in the Depths! There’s also nothing groundbreaking with most of the sounds in Dark Souls Remastered and that’s just fine since they get the job done. The screams, metal clashing, footsteps, and others sound like they are supposed to. You won’t hear music when traversing the different areas in the game, but when you fight a boss you are treated to an epic orchestral piece that adds to the tension and thrill of a grand encounter that’s about to go down. There is no way around it: Dark Souls Remastered is the same difficult game we’ve come to know and it is definitely not for everyone. The feel of the original is captured well into this release and that can only meam well for fans of the series! Your first instinct may be to steer clear after hearing about its legendary, rage inducing difficult but if you’re a tad bit daring, it may also be one of the most satisfying games you’re ever gonna play. 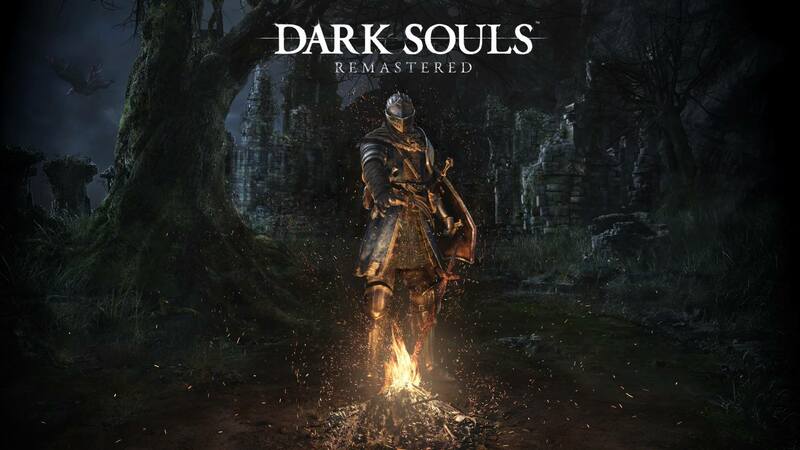 Souls veterans may also want another chance to relive the suffering in Remastered form, in full 4k and 60fps glory, killing those boss monsters has never looked so good! Bring patience, a LOT of it, and you might just survive… Until the next boss comes along. It ain't for everyone but if you've loved the Souls series, then this is definitely a must buy for you. Reliving those memories from way back is truly gratifying, and with the graphical boost to 4K 60fps, it'll only get your adrenaline pumping to see these battles look and move so good. 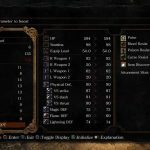 Dark Souls Remastered is a great starting point for those that want to test their might. Git gud or get out! Previous articleA LOT of New Titles are Available on the Nintendo Switch eShop from now until May 30!